I’ve been hearing a number of complaints and concerns about the new Food Guide. The one I’ve been hearing the most is that “dairy is out”. I’d like to dispel that. No, dairy is not “out”. Yes, the “milk and alternatives” food group is gone; as is “meat and alternatives” but milk and dairy products still fit within the protein group in the new guide. The Food Guide now recommends a proportion-based approach to eating, rather than a more prescriptive portion-based approach. Rather than telling you how many servings of each food group to have every day, and how big a serving is, the new guide simply advises you make half your plate vegetables (and fruit), one quarter protein foods, and the other quarter whole grains. It promotes consuming plant-based protein foods “more often”. This is pretty subjective and should – in theory – make it a lot easier for people to adopt. For some people this may mean consuming plant-based protein foods in larger amounts than animal-based proteins. For others, this may mean consuming plant-based sources of protein more often than they usually do. In a country that’s extremely meat-centric this could mean something as simple as adding more beans to a chili and cutting back on the meat slightly. I’d also like to point out that given that a quarter of your plate should be devoted to protein foods you can easily mix and match to your heart’s content. This might mean that you have lentils and salmon (like I did last night), cheese and bean casserole, tofu and chicken, etc. It might mean that at one meal your protein comes from milk or meat but that at another it comes from legumes or nuts. Snacks can (and generally should) also include a source of protein. If you eat three meals and two snacks a day this means that there are ample opportunities for you to consume protein from a variety of foods, including milk products if you desire. Personally, I think that having a food group specifically for milk (and alternatives) was unwarranted and I’m glad to see it go. There are many people who can’t consume milk products (due to lactose intolerance or an allergy) as well as those who choose not to and it is entirely possible to consume a nutritious diet without the inclusion of milk. For those who are concerned about where people will get their vitamin D and calcium from without milk products there are other food sources of these nutrients. Vitamin D is pretty near impossible to consume enough of through food sources alone anyway, at least during the winter months in Canada and Health Canada recommends all adults over the age of 50 take a supplement of 400 IU/d. I’d also like to point out that milk is fortified with vitamin D as are most plant-based milk alternatives (always check the label to be sure). Other food sources of vitamin D include: egg yolks, salmon and other fatty fish, some meats, and other fortified foods which may include things such as orange juice and cereal. Non-dairy food sources of calcium include: dark leafy greens (like spinach, collards, and kale), soy beverage, canned fish (eat those bones! ), tofu (if prepared with calcium), beans, nuts, seeds, and even blackstrap molasses. If you are concerned that you may not be meeting your nutrient needs through your diet I recommend keeping a food journal and making an appointment with a registered dietitian. Tags: balanced diet, calcium, Canada's Food Guide, dairy, food guide, Health Canada, healthy eating, milk, milk and alternatives, nutrition, protein, vitamin D | Permalink. Very clearly expressed. 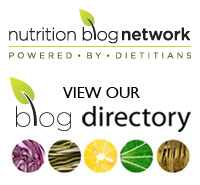 You should be one of the dietitians being interviewed re the new Guide! You know I love you, but I do not agree about taking away the dairy group. Dairy foods stand out because they are highly absorbable calcium sources, and not so much for their protein content. The calcium in plant foods is not as well absorbed, and people don’t eat enough plant foods anyway, so I wonder how they will get the calcium they need. I understand your point about how difficult is it to get vitamin D from food, and I think everyone who lives north of Washington, DC needs a daily supplement. I suppose only time will tell if calcium deficiency becomes a greater concern. Osteoporosis is more prevalent in countries with higher dairy consumption. Like anything else, all things in moderation and I believe the way foods are presented in the new guide is encouraging more variety. No other animal relies on infant food to maintain its skeleton! I agree with you, but waiting could have dire consequences, considering that peak bone mass is formed during the teenage years. I don’t miss dairy but I’m one of those people who don’t tolerate it well. I’ve always incorporated less than recommended daily serving in the previous guide, and got slack for it. Now I’m looking forward to not have that pressure to eat so much dairy. Vitamin D supplements can’t be completely useless. Aren’t they what wiped out rickets? Good point. I think they meant in regard to adult supplementation but they should have made that clear. Vitamin D supplements and foods enriched with vitamin D are useful for meeting the recommended dietary intake for vitamin D. The American Academy of Pediatrics recommends 400 IU of vitamin D in the form of drops for breastfed infants starting in the very early days of life to prevent rickets.